Hello and welcome to my honours year blog. This is week one and ahead of me is a year which I have no idea will pan out. All I know is there will be a lot of researching, a lot of work and a lot of stress. However I hope this year will also be inspiring, enjoyable and allow me to develop my skills. What I’ve began to consider so far is what I will want to be making this year. I want to continue focusing on animation as my main specialisation, in particular: 3D computer animation. 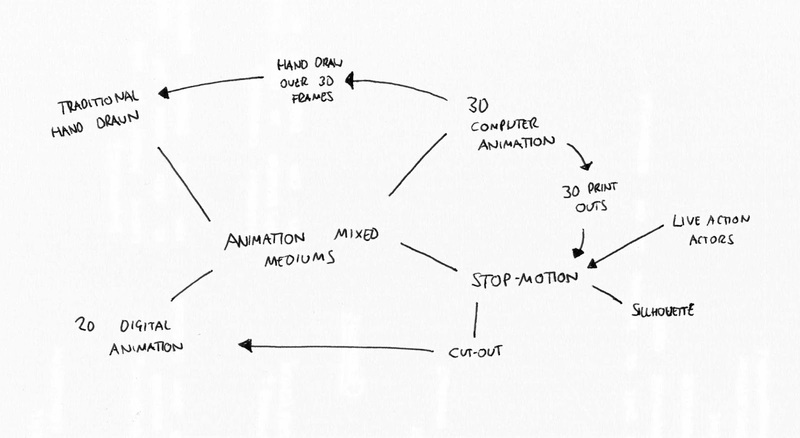 Researching and practising in animation may lead me to produce a short animated film as my final product, but I may also end up creating a series of animations or another piece which involves animation. On the narrative and characterisation side of things, I’ve not yet thought about what to explore. One idea I did have was animating stop-motion characters in real life locations, I would use the locations to tell the stories of the people who lived there. So as you can see, a few ideas and a vague direction in which to go in. Obviously I’ve got a lot of research ahead of me. I will look into books that can help guide me in the right direction and discuss with others which ideas are worth developing.